Today should have been a little 370 mile drive. We woke up, serviced, then set off hoping to be in Gdansk for dinner. This would not be the case!! Traffic, traffic and more traffic saw our day disappear and made Poland seem much further away than it look on a map. Our first motorway carpark was due to a major accident, so rather than join the people who got their deckchairs out we pulled off the road in search of a different route. Our 2nd major queue was at the Polish border, they must be like the Brits and enjoy queuing politely for no reason as we never found out what the hour or so queue was for. 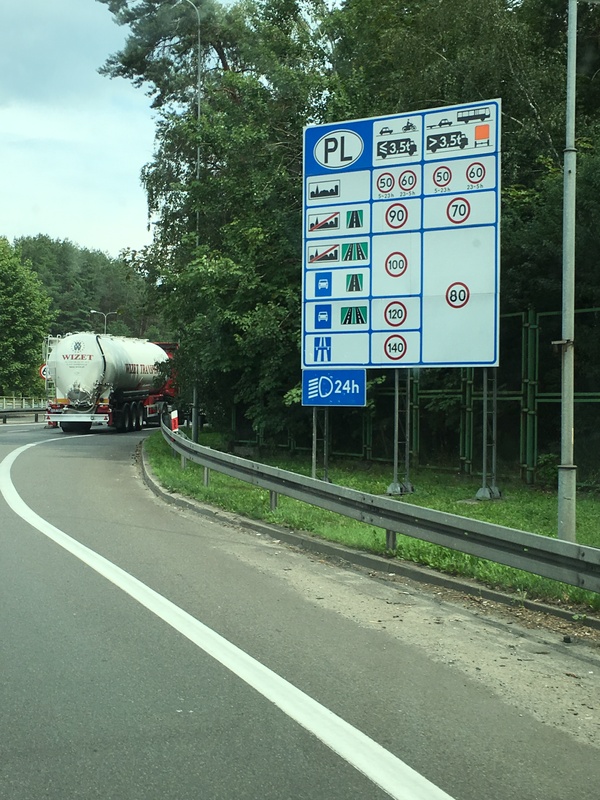 After arriving in Poland we were very conscious having read up on it that we required a toll charging box for the van. We trundled along stopping at garages and toll booths until eventually we found a station selling them. What bad luck, our 3rd hold up was due to the chap selling the boxes being on his break and had 20 mins remaining. When he finally arrived to sort the paperwork it was more painful than sticking pins in your eyes with form filling out, contracts needing signing and bank details exchanging. After a while we were on our way with a beeping box in the cab. The final approaches into Gdansk were very worrying, with Soviet era housing estates and huge industrial areas seeming to be everywhere and the roads in severe disrepair with Sat Nav taking us a very dodgy route. This all changed only half a mile from the site, when we entered the beautiful wooded area surrounding the campsite. We finally found our campsite a little after 9pm but it would turn out that although we booked two pitches in one name we could not be near each other. 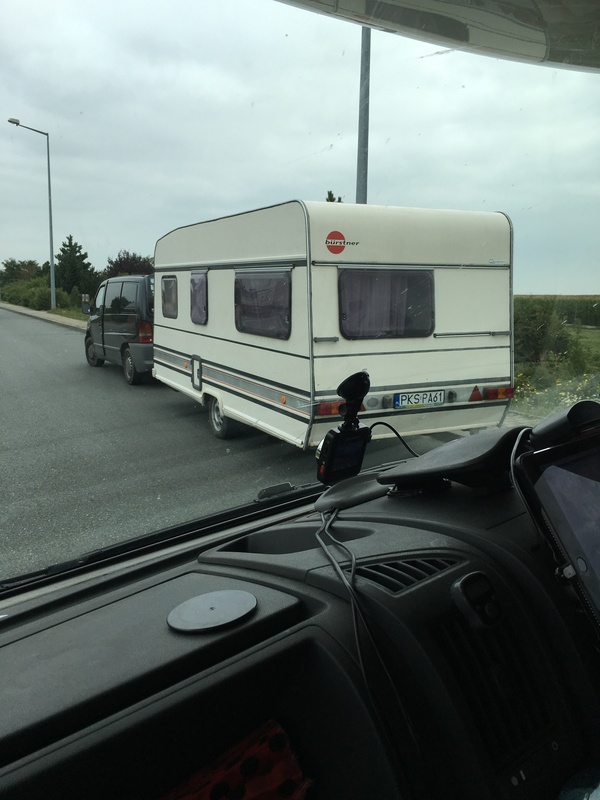 A busy Saturday night we found the campsite at near maximum capacity and again manoeuvring the van round the site let alone pitching up was hard work. We parked up and quickly ate some dinner then took a stroll to the beach to check out the local area. The local beach resort bars had music blaring out and at £1.20 a pint we couldn’t walk past without stopping.